Why buy coupons on eBay? Maybe you want more than one coupon for the same product. Or you don’t live somewhere that has coupon inserts in the local paper. Or you’d like to find coupons that don’t usually appear in the inserts. Or maybe you just don’t care to spend the time clipping and organizing coupons yourself. You can solve all these problems with some simple online auctions. 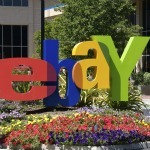 Here are eight top tips to make sure you get good coupon deals on eBay. 1. Find the right sellers. Sometimes the best place to start is with a search of eBay stores for coupons. This will show the sellers who have entire stores just for coupons; they usually have a better selection and are less likely to inflate shipping costs. Still, feel free to check out smaller sellers as well. By the way, you’ll note they technically are not charging you for the coupons themselves, but for their labor to clip and organize the coupons. 2. Don’t get soaked for shipping. $10 in coupons is not a bargain if you’re paying $7 in shipping fees. Look for free shipping, or be prepared to pay modest shipping fees if you are buying coupons in larger lots. 3. Make sure you are receiving physical coupons, not links to print your own online. Sometimes the online coupons don’t work – and besides, you can easily find free online coupons yourself, without buying them from eBay. 4. Pay attention to expiration dates. Make sure your coupons will expire at least a couple weeks or more, after the date you will receive them. Give yourself enough time to use the coupons. 5. Don’t be afraid to buy “non-traditional” coupons; they don’t have to be for grocery stores. Ten coupons for a free eight-piece box of chicken nuggets at Chik-fil-A recently sold for $11.00, with free shipping. So, for ten meals, that’s $1.10 apiece…not free, but still, it’s cheaper than the normal price of the food. 6. Are you an extreme couponer, or hope to be? Consider buying large coupon lots. You’ll get a wide assortment that way. Just make sure that at least half the coupons are for items you actually want to purchase. 7. Be a smart consumer. eBay’s coupon policies state that the following types of coupons may not be sold on eBay: no scanned coupons (just actual printed ones); no coupons for recalled items; no expired coupons; and single eBay listings can be only for100 total coupons max. 8. Another consumer tip: don’t expose yourself to coupon fraud. It’s illegal to sell altered, stolen or counterfeit coupons. And it’s also illegal to try to redeem coupons for products you didn’t purchase. Visit the Coupon Information Corporation website and find a list of fake coupons.